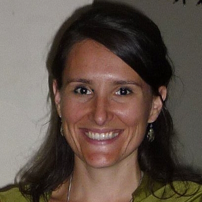 Dr Manu Saunders is an early-career ecologist and also has a background in literature, history and communications. Her broad research interests are agroecology, landscape and community ecology, and terrestrial insects. Manu has a diverse work history, including roles in corporate communications, media, research and agriculture. She has also taught at the undergraduate level at CSU's School of Environmental Sciences. She is currently researching ecosystem services in agricultural landscapes, with particular focus on services provided by insects and birds, such as pollination and biological control. Saunders, M. E., Peisley, R.K., Rader, R. & Luck, G.W. (2016) Pollinators, pests and predators: recognising ecological trade-offs in agroecosystems. Ambio 45, 4-14. Luck, G.W., Spooner, P.G., Watson, D.M., Watson, S.J., Saunders, M.E. (2014) Interactions between almond plantations and native ecosystems: lessons learned from north-western Victoria. Ecological Management and Restoration 15:4-15. Saunders, M.E., Luck, G.W., Mayfield, M.M. (2013) Almond orchards with living ground cover host more wild insect pollinators. Journal of Insect Conservation, 17:1011-1025. Saunders, M.E., Luck, G.W., (2013) Pan trap catches of pollinator insects vary with habitat. Australian Journal of Entomology, 52:106-113. Dhileepan, K., Trevino, M., Bayliss, D., Saunders, M., McCarthy, J., Shortus, M., Walter, G. (2010) Introduction and establishment of Carvalhotingis visenda (Hemiptera: Tingidae) as a biological control agent for cat's claw creeper Macfadyena unguis-cati (Bignoniaceae) in Australia. Biological Control, 55:58-62. Saunders, M., Cunningham, S. & Rader, R. (2-016) Chapter 3. Agricultural Beescapes in Australian Native Bees, AgGuide series published by NSW Department of Primary Industries. Saunders, M. (2015) Net outcomes of ecological interactions between arthropods and crops, at Ecological Society of Australia Annual Conference, Nov 29 to Dec 3, Adelaide, South AustraliaSaunders, M.(2105) Costs vs benefits of birds and insects in agricultural landscapes. Case study: Victorian apple orchards.6th Biodiversity Across the Borders Conference 2015, Federation University, Ballarat, June 12.